As with organic wines, it would be nearly impossible to know if a bottle is kosher simply by drinking it. The best way to discover the difference between kosher and non-kosher wines is by reading the label. This is often indicated simply with a "K" symbol, which means no non-kosher animal products can be used in the making of the wine and it must be made in a facility that is kept entirely kosher. Bottles labeled "Kosher for Passover" are made under even stricter conditions and often bear a letter "P" next to the "K" symbol. 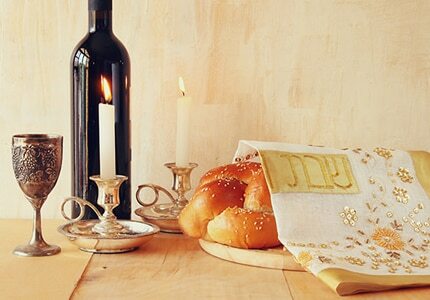 For those attending a Passover Seder, note that all wines labeled "Kosher for Passover" are kosher, but not all kosher wines are kosher for Passover.